Contrary to popular believe, X-Plane does have a Scenery Library like Flight Simulator X or Prepar3D! This scenery library is generated and updated by X-Plane as you copy scenery into the X-Plane Custom Scenery Folder. There is just one problem and that is that there is a slight chance that this library may get corrupted after an X-Plane update and then your default X-Plane scenery show through any add-on scenery you may have added! This article will show you how to keep your pay ware and the global airports from getting into each other’s hair! To fix this problem is not too difficult. We will show you how! 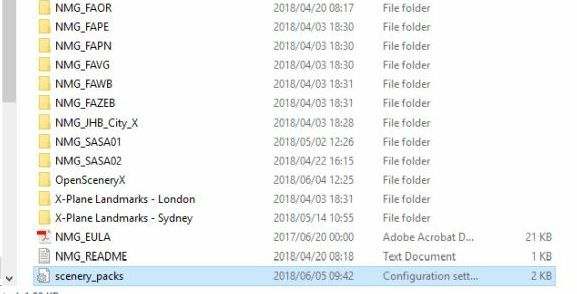 First you will need to use Windows Explorer to go to your X-Plane installation folder as seen in the screen shot below. 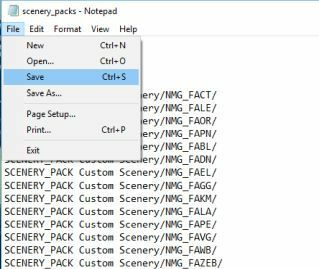 In this installation folder, you will find a folder named CUSTOM SCENERY. Double click on it to access the folder. 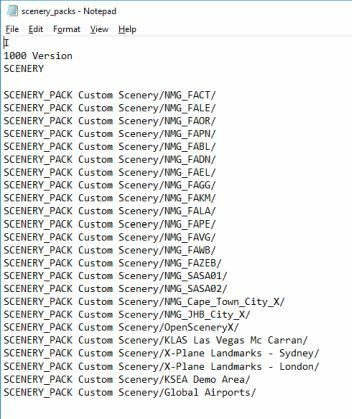 The next screen will show you all the scenery you have added into X-Plane, but right at the bottom, you will see a file named SCENERY_PACKS.INI. This is the X-Plane Scenery Library file and it is a normal TXT file that can be edited with a notepad editor such as Windows own Notepad. 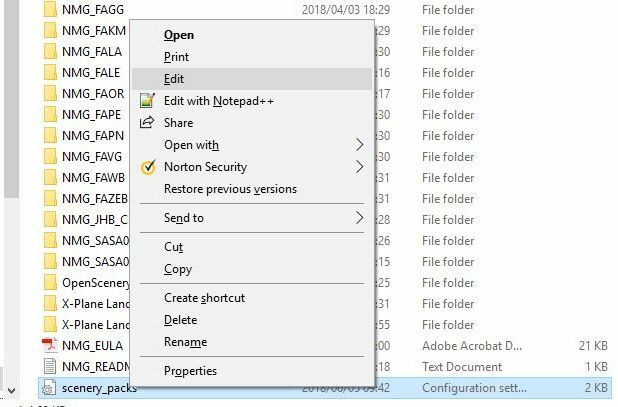 Right click on this file and then choose EDIT from the popup menu. Re-arrange the contents of this file to your liking but remember that the X-Plane Global Airports MUST be placed last. This is important or else the global airports will show right through any add-on scenery you have installed. When you are done, click on FILE and then on SAVE to save your re-arranged Scenery Library. There are a few things that the X-Plane developers strongly recommend you do not do. 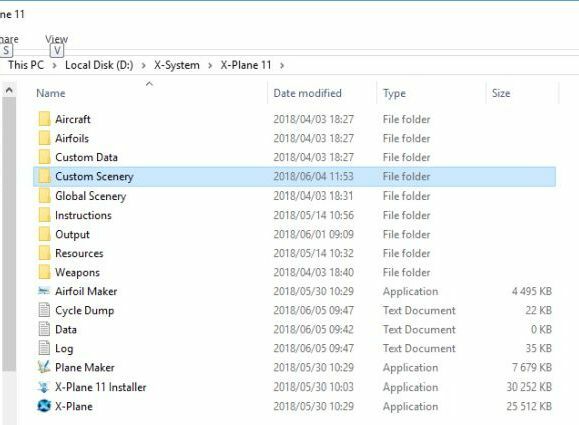 Don’t modify, rename or delete the scenery packs that come with X-Plane. The updater is just going to try to restore them every time there is an update. You’ll be pushing the rock up the hill repeatedly. Don’t delete individual airports out of Global Airports – the installer will just put them back. Don’t constantly delete the scenery_packs.ini file. Yes, it is true that X-Plane will recreate this file when you run X-Plane, but this violates the renaming rule and means updates won’t go well. Rather edit the scenery_packs.ini file to get things the way you want it – it’s there for you to customize.